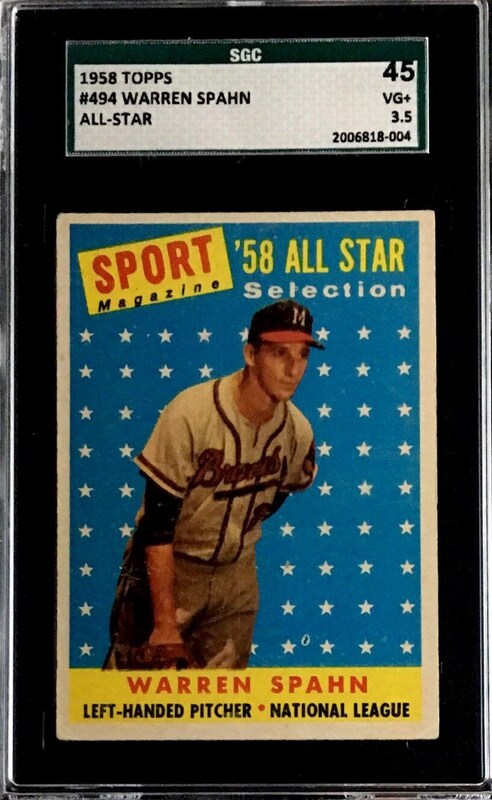 Up for your consideration is a 1958 Topps #494 Warren Spahn All Star card. 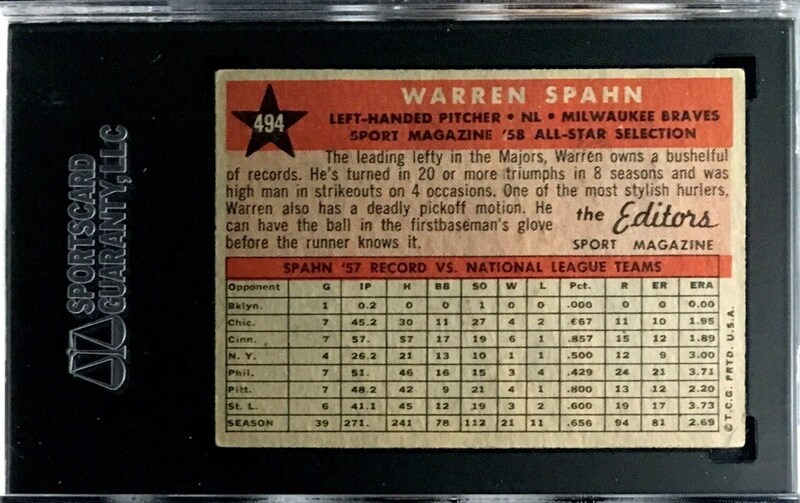 Spahn defied time when he was 42 when he went 23-7. Pictured here in his younger days, Spahn was an all time great. The card has been graded an SGC 45.